The PILATUS3 R detector series is the laboratory version of the hybrid photon counting detectors manufactured by DECTRIS. The R series is identical to the synchrotron series except for the frame rate which is “only” 20 frame/second instead of 500. The so called “pixel detectors” have gained reputation for be- ing excellent detectors and today they are, in fact, the very first choice for synchrotron beamlines. For conventional laboratory use, however, they are not yet that common. On a home X-ray source, detector speed is not really the time limiting factor for a data collection but rather the exposure time, i.e. the amount of X-ray photons required to obtain a use- ful signal. The usability of a detector on a home source there- fore depends on its sensitivity. In this study, we demonstrate the feasibility of sulfur-SAD phasing with lysozyme using a Pila- tus3 R 200K-A detector mounted on a micro-focus sealed-tube generator, namely the marYX2G system that consists of an Incoatec IμS source operated at 30 Watt (50kV/600 μA) and a mardtb ”desktop beamline” goniostat. This is an excellent test for the overall performance of the combination of all com- ponents. The PILATUS3 R 200K-A is the smallest of the series of DEC- TRIS detectors with an active area of only 84 x 70 mm (487 x 407 pixels with a pixelsize of 0.172 mm). To obtain a reason- able resolution of approx. 1.5 Ang., some data were collected at a 2-theta angle of 28 degrees. With the low divergence of the Incoatec source and the virtually inexistent point-spread of the detector, the detector-to-crystal distance could be kept small at 55 mm. Three data sets were collected from a lysozyme crystal. 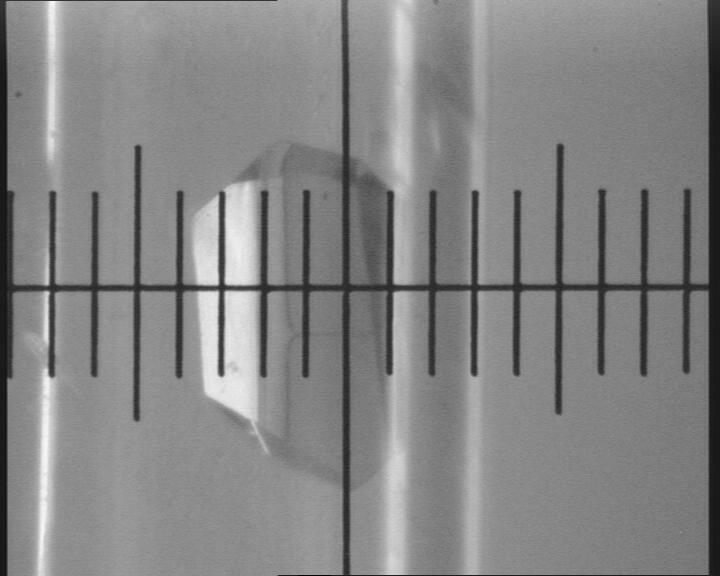 The crystal was not frozen but mounted conventionally in a capillary and data were collected at room tem- perature. Radiation damage in the course of the experiment has therefore been a certain issue. The crystal had a physical size of approx. 250 x 450 x 550 mm and a mosaicity of approx. 0.20. Data were processed using XDS. 1 Last shell in brackets: 2.56-2.4 Ang for set 1, 1.71-1.60 Ang. for sets 2 and 3, respectively. Program SHELXD was instructed to locate 17 anomalous scatterers: 10 sulfur atoms and 7 Cl ions at 1.8 Ang. resolution. The best solution was used for phase calculation and further improvement by density modifications with program SHELXE. The following results were obtained from SHELXD: PATFOM: 1.38 CC all/weak: 37.9 / 16.6 The following results were obtained from SHELXE: Contrast / enantiomorph: 0.48 / 0.32 Pseudo Free CC / enantiomorph: 70.8 / 52.4 The resulting experimental phases from SHELXE were used for chain-tracing from scratch using program arp/warp. The program automatically built all 129 residues and yielded a refined model at 1.6 Ang. resolution that matches the published data. PA total of 810 degrees of data collected from a single lysozyme crystal within just 4 hours on an in-house micro-focus generator yielded good enough data for ab initio structure solution. 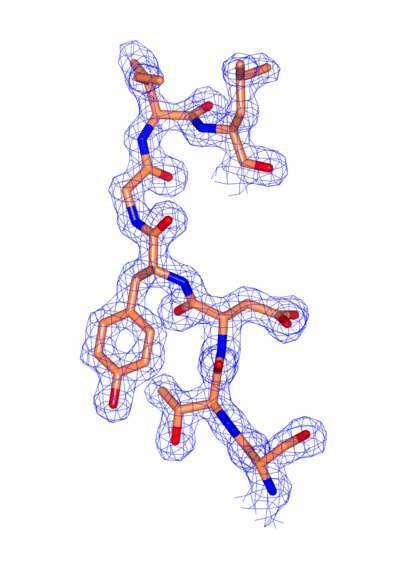 This was done despite of using a non-frozen crystal at room temperature and with the smallest of all DECTRIS pixel detectors, the PILATUS3 R 200K. To achieve higher resolu- tion, we made use of the built-in 2-theta offset of the mardtb goniostat. 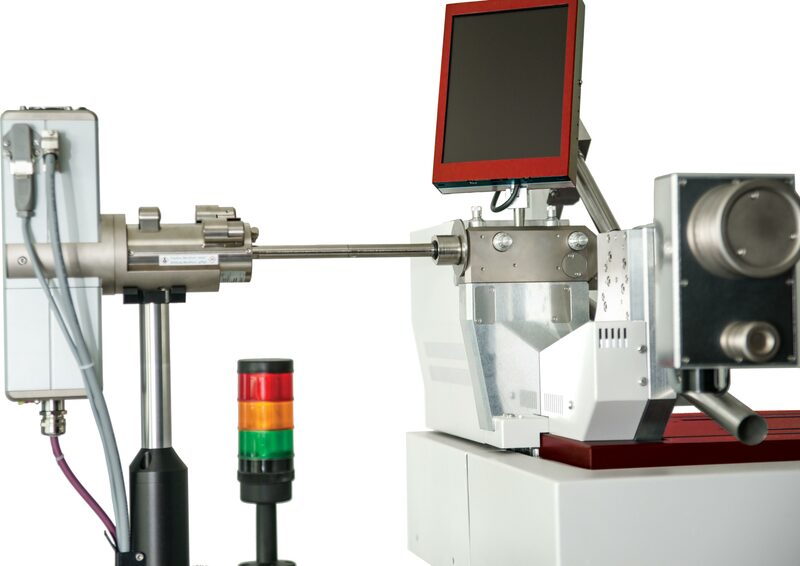 This study hence nicely demonstrates the amazing capabilities of the entire setup consisting of a very fast and efficient detector, an easy-to-use goniostat and a small but very powerful home source. 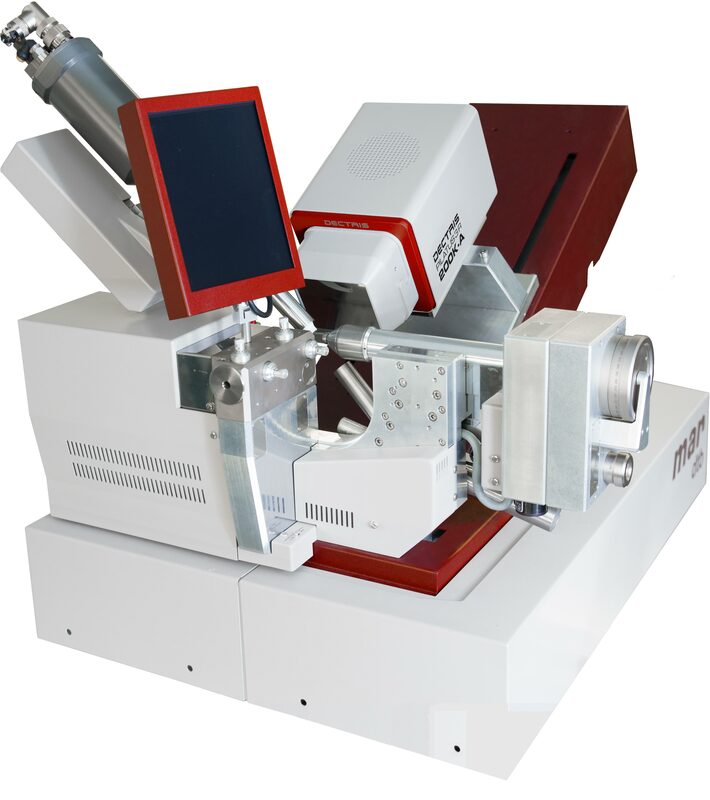 In summary, the PILATUS3 R series of detectors are ideally suited for fast crystal screening experiments as well as for complete data collections with the aim of solving and refining protein structures in a home lab.